We are proud to have formed long-lasting business relationships with clients from wide-ranging industries over the years. Our number one focus is achieving our client’s objectives, which is evident in our meticulous, dedicated approach to our work. Ms. El-Assaad enjoys a high level of honesty and integrity. She clearly mentions in her correspondence the expected date of delivery and delivers the assignment either on time or before the deadline. She is very aware of the technical and legal terminologies and has strong work ethics and values. She sometimes also offers assistance for specific terminologies if approached by some of the native speaker colleagues. There have been many cases in which we had to approach Ms. El-Assaad with last minute requests. In every case she took the initiative to deliver in a timely and professional manner. Apart from translating documents, she also pays attention to the format and layout of the documents, which goes way beyond the contracted service, but is a great help to us! We have experienced Ms. El-Assaad as a friendly, dedicated person, detailed in her work and an extremely reliable person to work with. I had the opportunity to work with Nour on several occasions. I often asked her for translations into Arabic, within a very tight deadline. In addition to her extremely high quality translation work, which was confirmed to us by the recipients of the translations and the Arabic speaking partners to whom we asked for a third opinion, I can only praise Nour’s readiness to answer our demands, her clear messages, and her timely delivery of work. Besides being competent and professional, Nour is also a very kind person with whom it is very nice to work and interact! Late 2006, I was searching for an item when Google Search took me to Nour’s blog. The content in her blog was fabulous, and when I checked her profile and found she is a translator, I knew I’ve found a great translator. I sent her a cooperation request, and soon started work, and my expectations were very true.During her work with Al-Mada Translation, from late 2006 till now, Nour delivered a quality translation and never missed a deadline. I had the opportunity during the last five years to collaborate with Nour on several translation projects (individual or group projects). In all these projects that covered a broad spectrum of topics, some of them highly technical, Nour was always keen to deliver the work needed with the highest quality and precision, and within the specified deadlines, if not before. Her dedication, professionalism and respect of business ethics, which are paramount in our business, make her the ideal translator to deal with whenever I have a translation project on hand. I have known Nour since March 2007. We worked together on a daily basis. Her work was precise and timely. Most importantly, Nour is an impressively innovative translator. She regularly had to translate new concepts that have never been used in Arabic. After thorough research and diligent efforts to understand all aspects related to any new terminology, Nour would always find the right terms and tone. It is even safe to say that she and her colleagues have coined terms related to the field of elections and campaigning that have now been adopted internationally. In September 2011, I joined the Samir Kassir Foundation (SKF) as Executive Director. SKF is today one of the largest freedom of expression organizations in the Levant. Nour has been our go-to person anytime we needed high quality English-to-Arabic and French-to-Arabic translation. Her scope of work was very wide: media monitoring reports, proposals and funding applications, book chapters, and official statements. Nour’s accurate translation and unmatched speed in returning documents are two of her most distinctive strengths. The quality of Nour’s work is of course the product of her strong academic background but I believe it is, above all, the fruit of her intellectual curiosity and openness to new cultures, and her eagerness to travel, read and meet people. I, therefore, enthusiastically recommend her to any organizations seeking international standard translation. I worked with Nour at various occasions during 2015 and in particular on two types of translation projects.The first was directly related to my professional activities and involved translation of documents related to projects of non-profit nature.The second project was more personal and dealt with the translation of literary texts, songs and extracts of Arabic poems.In each of these projects, Nour’s work was precise and of a higher quality. Nour’s accuracy and attention to the smallest detail contributes in establishing a relationship of trust. Entrusting Nour with translating your documents will guarantee you a product that meets your requirements. Nour is an exceptional translator: precise, thorough, and quick. She has a natural facility with languages, and has built her skills through years of experience as a professional translator specializing in non-profit, government and politics-related texts and practical handbooks. Nour's love of languages extends beyond the workplace, and she is an avid explorer of literature and cinema in many languages. Nour takes every opportunity to hone her already tremendous translation skills. I can't recommend her work highly enough. Nour is an exceptionally talented translator. She works effectively, efficiently and with a very high degree of professionalism. I regard her among the best in her field and would recommend her for any project without hesitation. As a writer and translator myself, I never thought I could find the “perfect womb” that could deliver my writings in another language as if I had done it. But then I did. Her name is Nour El-Assaad, and she has one of the rarest talents in the literary world: giving birth to the words all over again, not just translating them. I am deeply grateful for her amazing work on my books and articles over the years. Thanks to her dedication and sensibility, I reached new horizons. 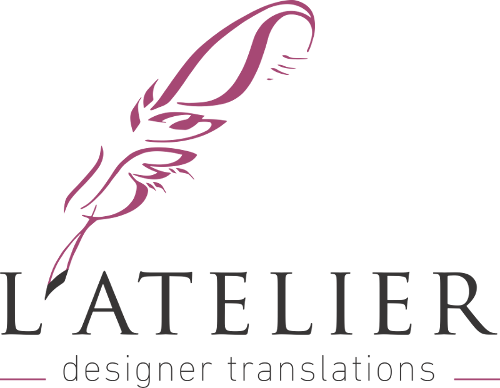 Are you looking for artisan translations from a premium provider? Work with L’Atelier for first-class results.